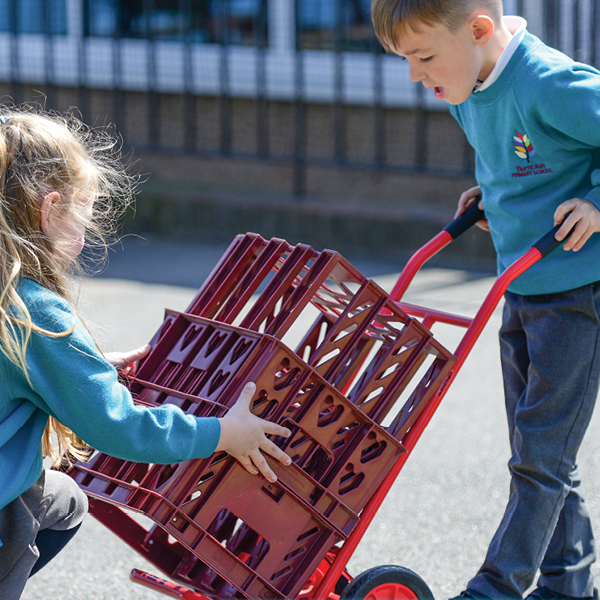 Our ready-made Building Materials Collection offers a great range of building materials for your outdoor area, bringing rich opportunities for children to design and build a range of structures. 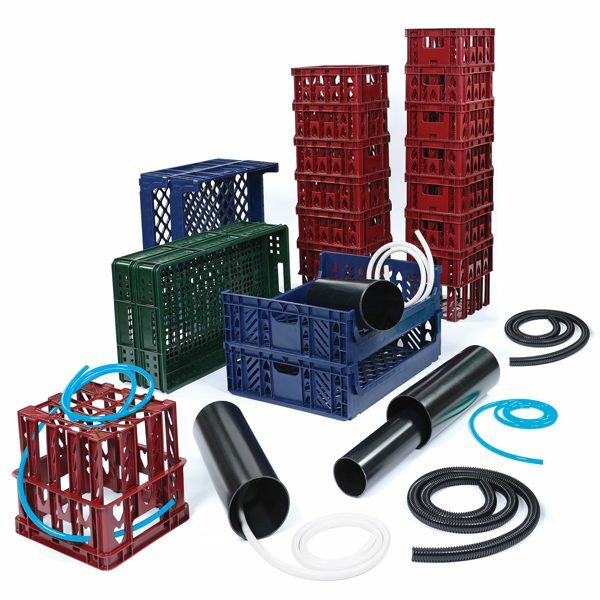 This comprehensive range includes pay crates, tubes, pipes and tubs which are key resources for large scale building. The resources are lightweight, easy to stack and highly durable as well as being sufficiently robust to withstand the rigors of everyday use. 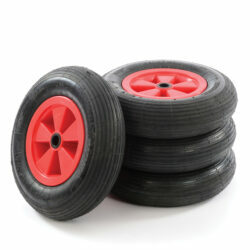 These large materials are ideal for making all sorts of vehicles, enclosures and dens. 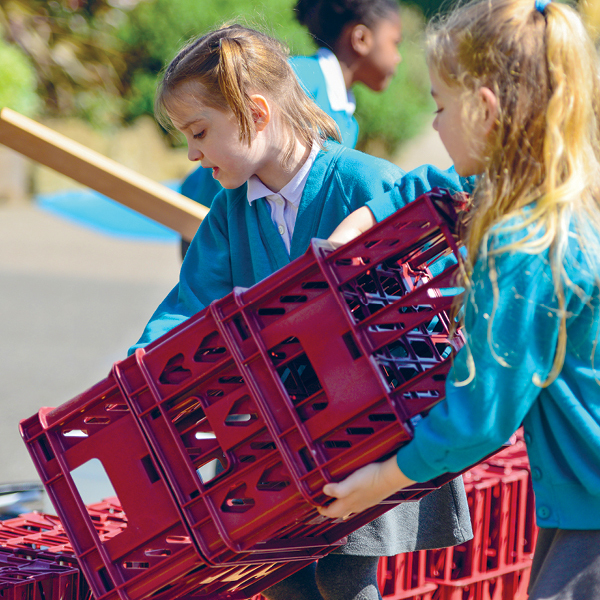 With the space and freedom outdoors to build on a much larger scale, your children will really benefit from using these high-quality, open-ended Building Materials Collection resources to recreate the situations, people and places they experience every day. 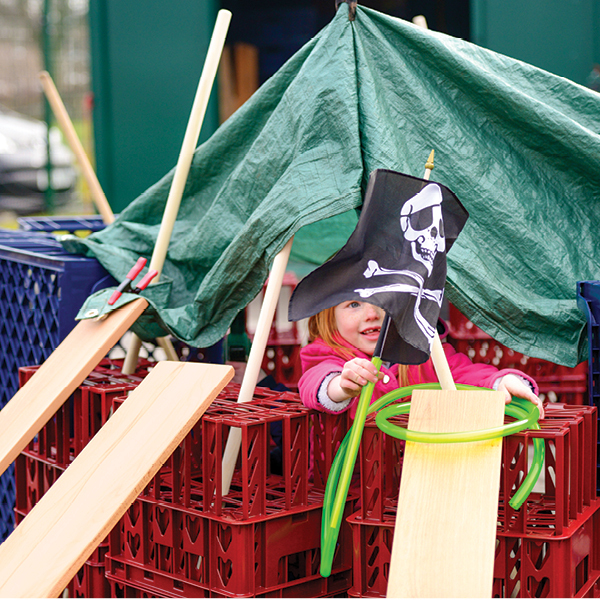 From simple structures to intricate vehicles, the challenges for creative and critical thinking are immense. 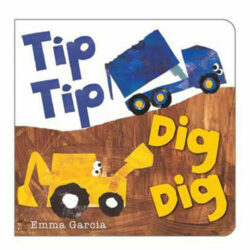 The resources ignite children’s imagination and generate lots of problems to solve. They test children’s physical ability, stimulate communication and inspire closer collaboration, making this collection a vital part of outdoor provision. 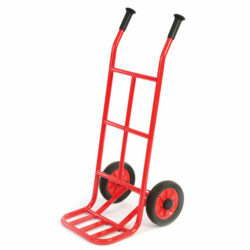 Red Cratesx 14– 363 x 287 x 305mm – Poly bottle style red crate and stackable. 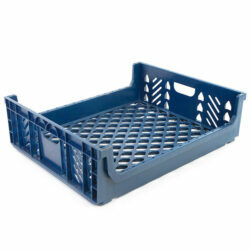 Blue Crates x 3 – 655 x 540 x 185mm – Clever locking system, these blue crates nest together at 90° for easy storage when empty. Green Crates x 2 – 765 x 455 x 175mm – Dark green deep stackable crate. Black pipe – 2 x 500mm in length with a diameter of 160mm and 2 x 500mm in length with a diameter of 110mm. Tubing – 2m length – range of flexi 2 x white tubing, 2 x green tubing and 2 x black tubing.